Guttormsen Recreation Center School & Day Care field trips. We host many school field trips each year at Guttormsen Recreation Center. Kids love our Cosmic party packages. If you are looking for a great field trip idea for your school, look no further than Guttormsen Recreation Center. Daycares, Schools and Homeschool teachers love having their group outings with us. 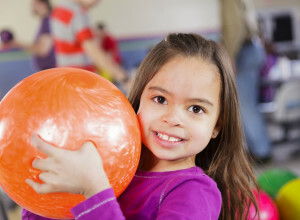 We have plenty of lightweight bowling balls, small bowling shoes and bumpers for all of the students. Call us at (262) 658-8191 to reserve your party today! 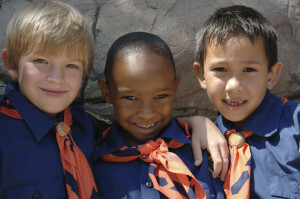 Looking for the next fun event for you Scout Troop? Have a bowling party! Does your class deserve a reward for working hard all year long? A GRC Bowling party is a great way to show your appreciation for all of their hard work throughout the year. White shoes are required. Anyone not wearing white soled shoes will charged an additional $1.00. For our handicapped bowlers, we have ramps. Pizza and Soda lunch for $3.00 extra per person. Call Bobbie for information or to reserve a date at 658-8191! Get An Instant $10 Open Bowling Certificate! Plus, receive over $100 of additional coupons and discounts delivered directly to your inbox. Enter your name and email below, and we'll notify you about upcoming events, specials and much more. We hope to see you soon! Through our online reservation system you can quickly obtain an overview of the lanes that are available and choose exactly the lanes you want! Along with picking the lanes you want you can enter all player names, choose between our optional party options, and best of all, pay online and skip the line! Skip the line, pay online! Skip the line, pay online! Click here to reserve your lane right now.